We pay for a direct feed from the White Mountains MLS, the local database used by all White Mountains AZ area agents to list homes available for sale. National portals are slow to update, inaccurate, and incomplete. National real estate portals like Trulia and Zillow have access to only a fraction of the agent-listed homes. A recent study by the WAV Group measured the number of homes available on websites in cities across the U.S. and showed that Zillow and Trulia had 20% fewer homes available on their websites than MLS-fed sites like this website. For the White Mountains, this website provides 30% more listings. For the White Mountains AZ real estate market, the national websites averaged more than 30% fewer homes. Zillow had just 72% of the agent-listed homes available, while Trulia had only 63%. The national portals are "hit or miss". Many times it's a miss. Data is inaccurate, outdated, and many times, wrong. whitemountainsazrealestate.com receives 100% of local market agent-listed homes with our direct feed from the MLS database. 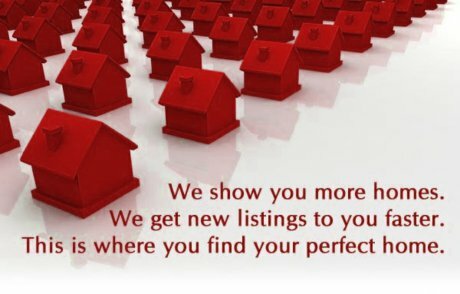 Only a local brokerage can deliver those listings to you accurately, every day. Many great homes are selling the first week they come on the market. National portals can take over a week to upload new home listings to their websites, and even longer to remove sold listings. whitemountainsazrealestate.com updates throughout the day with new listings. Our home buyers see the newest listings first, and they have a better chance at finding the right home before it's sold. Buyers need to have accurate, complete, up-to-the minute information available to them in today's competitive market. At whitemountainsazrealestate.com, we strive to give you the best possible information, every minute of every day. 20%-30% of the homes for sale in the White Mountains are not on the Zillow mobile app. They're only available on an MLS-direct app like ours -- the White Mountains AZ real estate app. Download it today, and never miss out on the perfect home again!